Homeland Inspection Services is a patriotic business that prides itself on protecting home buyers as they prepare to make one of the biggest purchases of their lives. We provide professional home inspections throughout Greater Cincinnati and Northern Kentucky. At Homeland Inspection Services, we perform a “whole house inspection”, examining every visible and accessible area of your potential new home from top to bottom with military precision. As a Navy veteran with a law enforcement background, I bring both a strong work ethic and high level of integrity to each home inspection we complete. ”What did I like about the inspection? Knowledgeable, willing to explain the inspection as it’s happening, and overall good attitude. Todd did the inspection, he was good and thorough, included pictures as necessary and also got on the roof. I’m a first time home buyer so I wanted to make sure I got an experienced inspector and I felt 100% confident when he was doing the inspection. Will definitely suggest you all to my friends who’s going to start house shopping in a few months. Thanks! 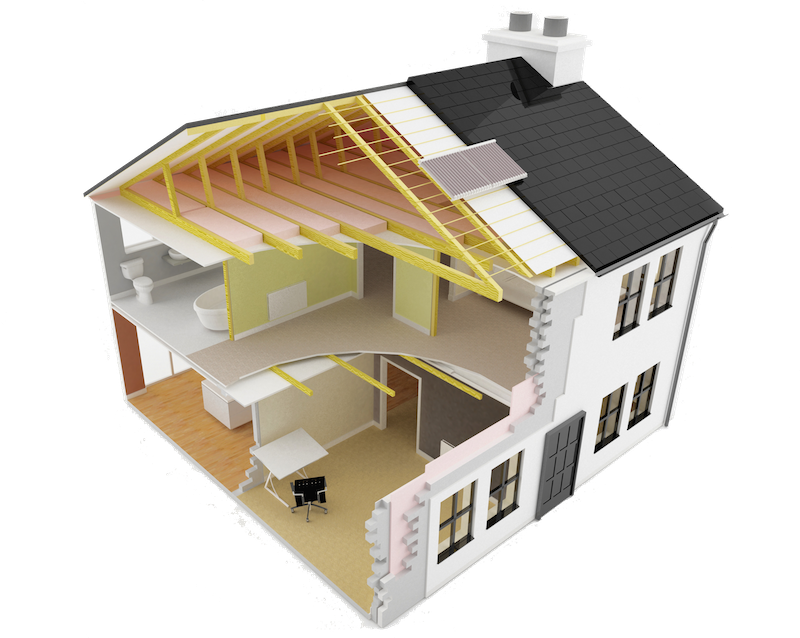 “-A.S.
You will find that we go above and beyond the ASHI standards of practice with our home inspections. Homeland checks every home for carbon monoxide and uses thermal imaging free of charge to help identify unwanted moisture and other problems on the property. We know how important it is to make the right choice when buying a home. With our company, you will never have to stress, because we make sure your investment is solid before you make a commitment. We bring that balanced perspective to each home inspection, acting as your eyes and ears. From the Realtor to the seller, we know the needs and concerns of everyone involved in the real estate transaction, but we only focus on what’s in YOUR best interest. We understand the real estate transaction process backwards and forwards. So our clients can make the best decision about their purchase, we help them fully understand our reports. If you’re a law enforcement officer, first responder, active duty military, or veteran, Homeland Inspections offers special discounts, starting at $50 off services, and $100 discounts available for our disabled vets. Just let us know when you schedule your appointment! Before making one of the biggest purchases you will ever make, contact Homeland Inspection Services and let us inspect your part of the American Dream. 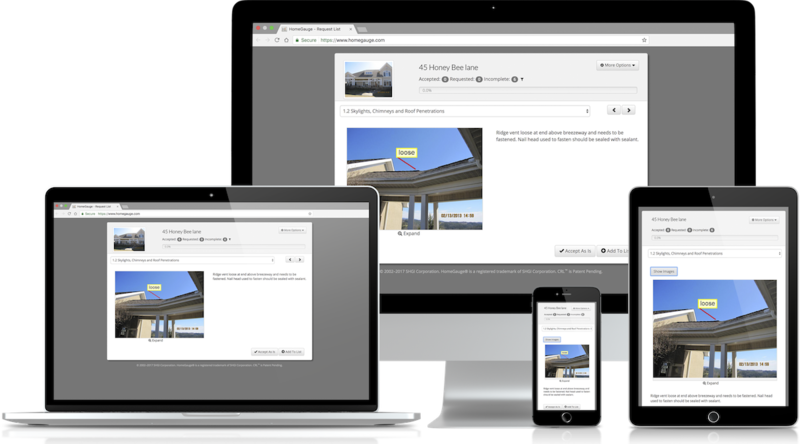 Once your home inspection is complete, you will receive a comprehensive digital report the same day. Whether you can attend the home inspection or not, you’ll be able to review all of our findings captured through notes, pictures, and videos in your report. Just login using your computer, tablet, or mobile device! Within your inspection report, you’ll have access to the Create Request List™ or CRL™ tool which allows you to note how you, your agent, or the seller would like to address any issues found during the inspection. You can then attach the list to the repair addendum form and easily move forward with negotiations. Want to view a demo of Create Request List? Click Here. Contact Homeland Inspection Services today for your next inspection!